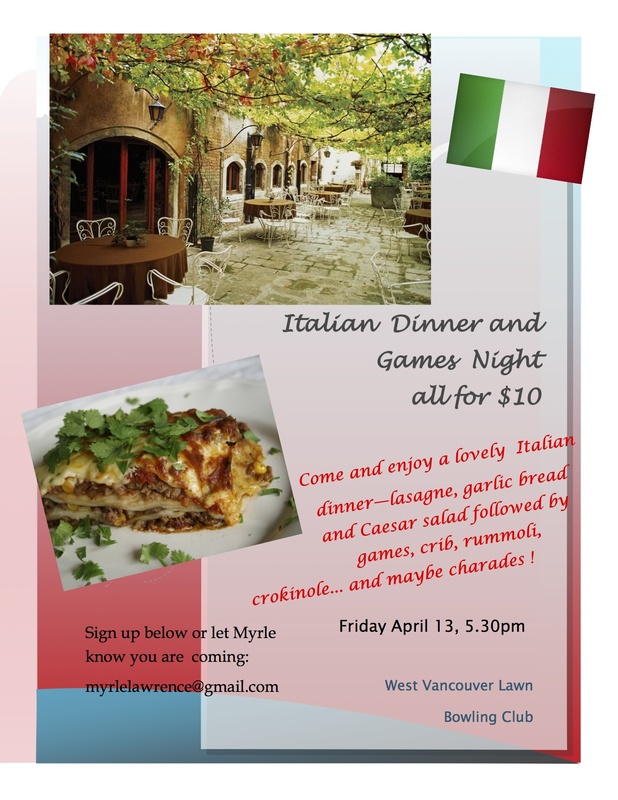 Our intrepid President, Myrle, following the success of the Mexican Games Night, is hosting an Italian Dinner on Friday April 14, 5.30pm. 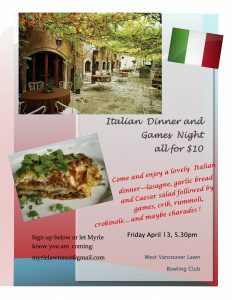 The menu will feature Lasagne, Garlic Bread, and Caesar Salad with coffee and a little sweet to follow. After dinner we will play board games, and/or charades for those who would prefer. All of this and good fellowship too, for only $10! Please bring games, good cheer. Sign up at the Club house by Thursday, April 12th at 12:00, or email Myrle before that – myrlelawrence@gmail.com. See you there!